Want to add to your Star Wars collection with all of the fantastic The Last Jedi merchandise available on September 1st, and help Harvey Sante Fe high school, as well as the countless people affected by Hurricane Harvey at the same time? Here’s how! Match whatever you spend on Force Friday II merchandise with your American Red Cross donation. Consider dividing whatever you are going to spend in half, and give 50% to The Last Jedi merchandise, and 50% to the American Red Cross to help people recover from this disaster. Give whatever you can; your donation enables the Red Cross to prepare for, respond to, and help people recover from Hurricane Harvey. And, if you want to specifically help the children of Harvey’s Sante Fe High school, click the link here to go to their GoFundMe page. They need school supplies, backpacks, lunch kits, pencils, notebooks, and grade appropriate school supplies. The Force is strong with Star Wars fans; let’s use the Force to help those in the path of this hurricane, too! 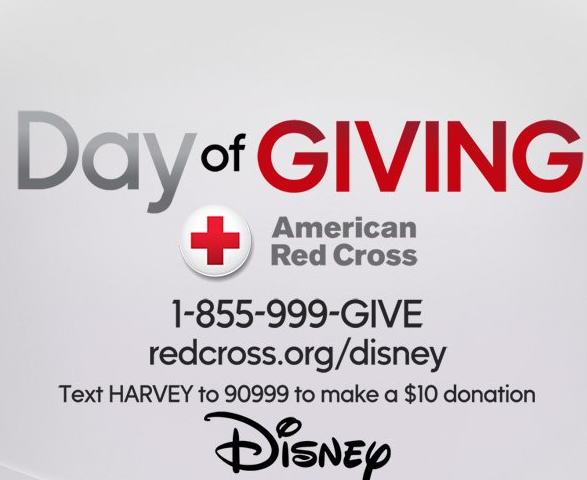 Donate for the #DayofGiving and help those impacted by Hurricane Harvey by donating to the American Red Cross. Donate to the Harvey Sante Fe high school’s GoFundMe page here. Note: This post and website are not affiliated with Disney, the American Red Cross, or Lucasfilm. It is intended solely to give people a way to help those affected by Hurrican Harvey. Coffee With Kenobi will not receive any compensation of any kind for this post, or for the CWK challenge.